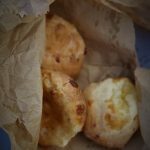 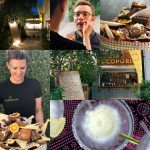 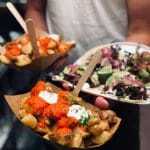 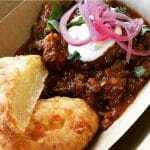 IN FACT WE JUST LOVE FOOD, AND OUR TRAVELS AROUND MEXICO, ASIA, AUSTRALIA, INDIA, SOUTH AMERICA, EUROPE (AND THE UK!) 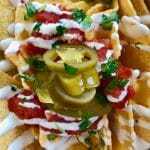 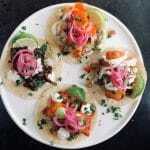 HAVE INSPIRED MANY OF OUR DISHES. 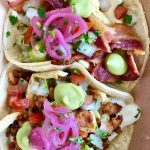 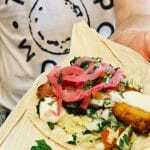 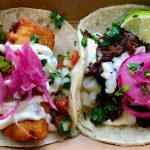 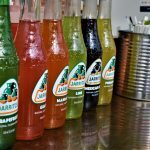 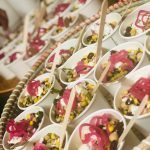 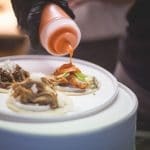 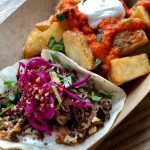 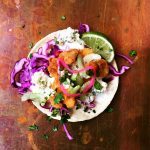 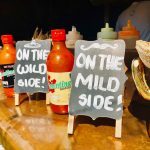 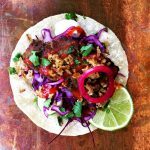 OUR TACOS ARE FRESH, VIBRANT, COLOURFUL & ALWAYS MADE TO ORDER, AND BRING SOMETHING INTERESTING & A LITTLE BIT DIFFERENT TO YOUR EVENT. 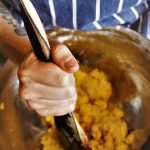 WE ARE LUCKY TO BE SURROUNDED BY SOME OF YORKSHIRE’S BEST PRODUCE AND WORK CLOSELY WITH LOCAL SUPPLIERS TO ENSURE WE ARE USING THE HIGHEST QUALITY FRESH INGREDIENTS AND SUPPORTING OTHER INDEPENDENT BUSINESSES. 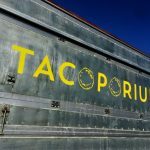 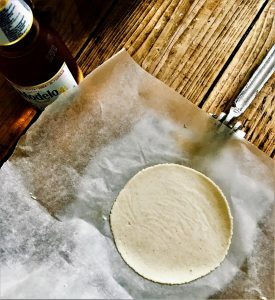 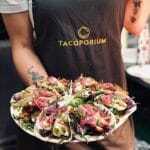 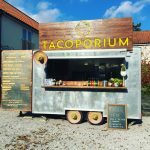 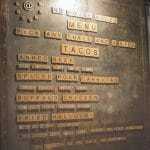 LIKE ALL GREAT IDEAS, TACOPORIUM WAS CONCEIVED WHILST DRINKING A COUPLE OF CERVEZAS, MAKING GUACAMOLE & EATING TACOS. 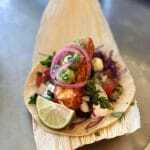 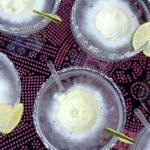 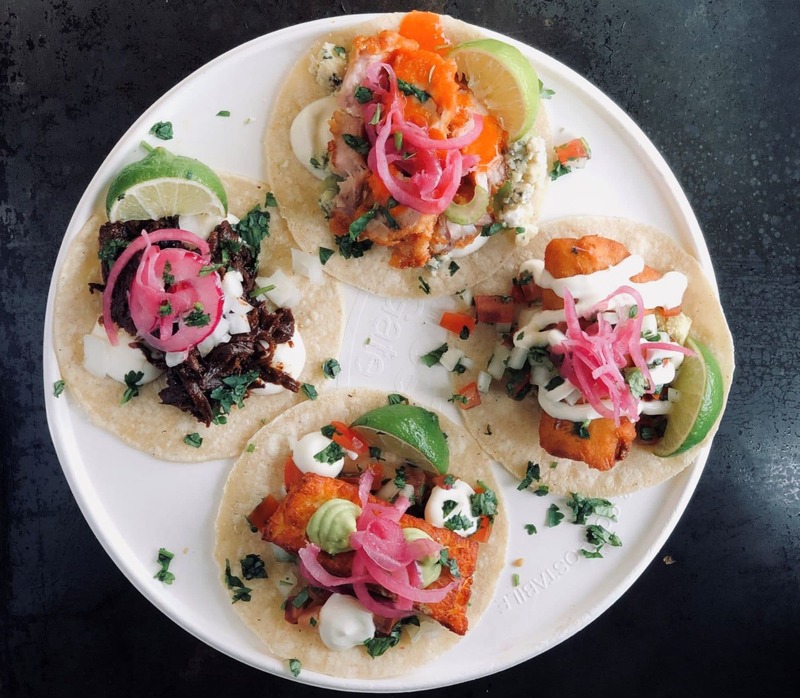 WE DAYDREAMED OF TACO PARTIES THROUGH THE SUMMERS AND LAZY WINTERS IN THE TROPICS. 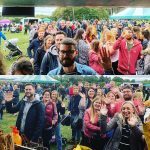 SO WE CHANGED OUR LIVES AND COULDN’T BE HAPPIER, SUMMERS ARE SPENT TRAVELLING UP AND DOWN THE COUNTRY TO PRIVATE EVENTS AND FESTIVALS OF ALL SHAPES AND SIZES. 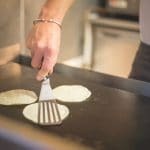 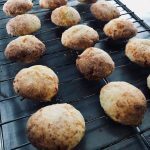 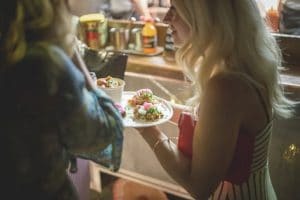 WE ARE 100% HANDS ON AND WOULDN’T HAVE IT ANY OTHER WAY – WE PREPARE ALL OF THE FOOD FROM SCRATCH AND RUN ALL EVENTS OURSELVES ENSURING A GREAT EXPERIENCE FOR ALL OF OUR GUESTS. 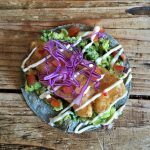 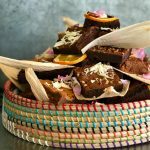 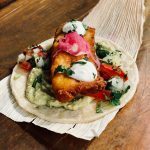 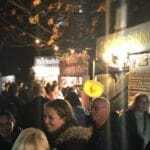 OUR PACKAGES START FROM AS LITTLE AS £6 PER PERSON AND WE HAVE LOTS OF OPTIONS TO CHOOSE FROM TO SUIT ALL AGES, TASTES AND DIETARY REQUIREMENTS, FROM CANAPES, OUR SIGNATURE ‘SORBERITAS’, TO TACOS, TASTY SIDES AND DELICIOUS CHOCOLATE BROWNIES. 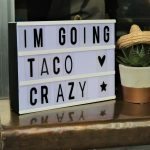 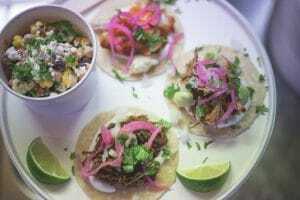 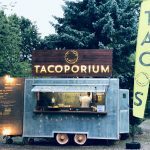 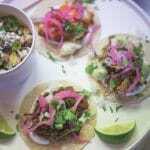 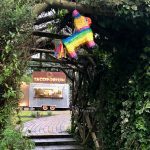 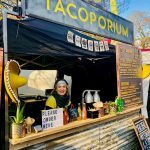 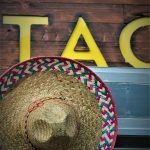 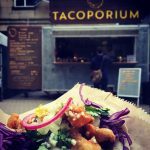 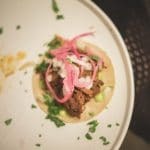 EMAIL US AT EAT@TACOPORIUM.CO.UK WITH A FEW DETAILS AND WE CAN PUT TOGETHER A PACKAGE FOR YOUR CELEBRATION TO SUIT YOUR TASTEBUDS AND YOUR BUDGET.